Aaron Kuehn’s Skeleton Typogram is one of those amazingly simple and beautiful ideas that makes you wonder “why didn’t I think of that?“. 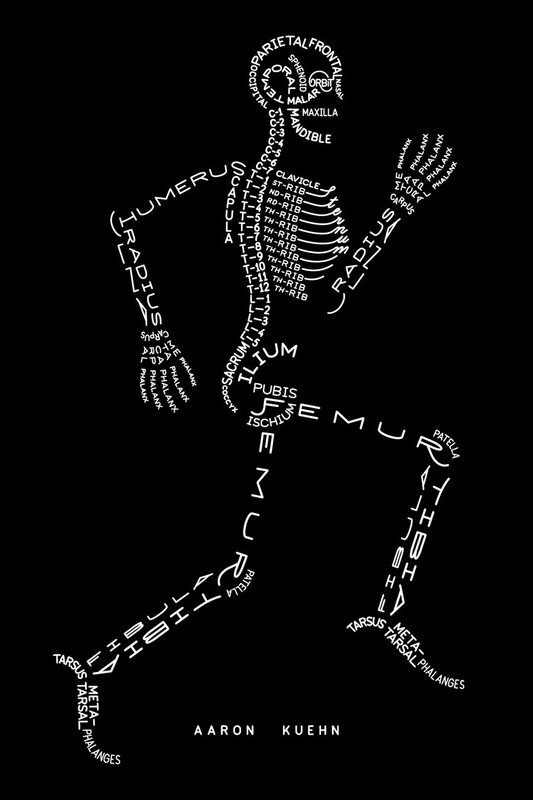 What a great visual tool to casually learn the bones of the human body. Any student or teacher can benefit from having such a thing of beauty hanging on their wall. This is what using illustration to communicate is all about. Love love love it! Why not *buy a signed 38cm x 56cm print or some Hand Letterpressed Mini Prints (hand made in Portland, Oregon) for the student, physio or doctor in your life. 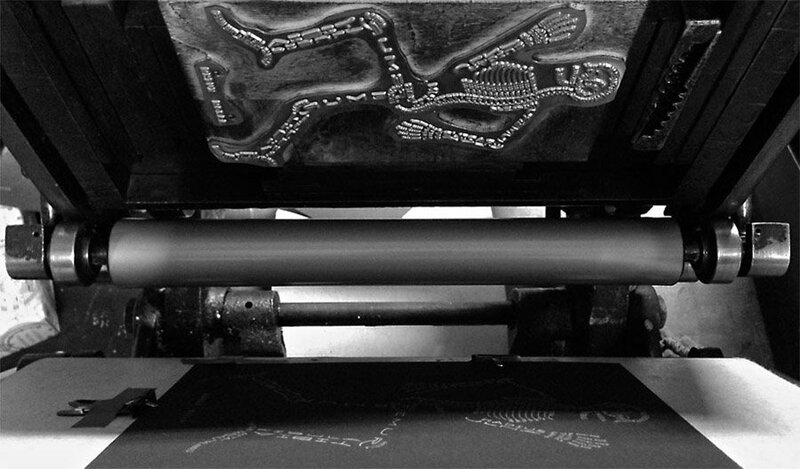 There is something primitive and cave man like about seeing Aaron’s skeleton in Letterpress plate form in the process of printing. Quite fitting. I love the fact that this is Aaron’s description on his on website. Hooray for bones indeed. Aaron also does anatomical drawings/prints of bicycles, a suspension bridge, a bee and a ukulele. Support living artists and while you’re at it follow Aaron on Twitter or visit his site.